← Islamic Emirate: Let America Obtain Lesson from the Past 17 Years!!! Islamic Emirate: Why will Ghani not accept Black Water? Reports say Ashraf Ghani has opposed the transfer of Afghan war from American invading troops to Black Water contractors in Afghanistan. According to Ashraf Ghani, he will never allow Black Water to come to Afghanistan because this infamous American company was involved in serious human right violations in Iraq. There are several notable questions worth asking in this announcement. First of all, Ghani should be asked who gave him permission to interfering in the superior issues of his masters? Is it plausible that a cruel master like Donald Trump would change his decision upon the objection of a puppet like you even while he keeps you alive with American money and will not even let you meet with him or any other official at the United Nations? Secondly, how did Ashraf Ghani feel mercy for his nation? Are fears of possible torture and harassment by Black Water really the true feelings of Ghani? While only a few hours after his appointment, he signed the country’s infamous security agreement, allowing American invaders open hand in killing Afghans. Today, we all are witnesses to the open massacre of innocent Afghans at the hands of American invaders. Has Ghani ever opened up about this? Why is the nation being killed mercilessly? Has he ever shown any sympathy to Afghans killed during his four year rule? Could Black Water surpass this violence and cruelty? The answer to all these questions is that the two-headed regime does not feel the pain of Afghan people, but with arrival of Black Water they fear that the US dollars will most certainly dry up hence they are opposing any move that could privatize the war. Black Water is an option for American invaders because it could possibly reduce the cost of their war in Afghanistan. Eric Prince, the head of the notoriously inhumane Black Water company has told American government that they can win the Afghan war with a smaller budget and fewer troops therefore the Kabul puppet regime officials fear that on the one hand, the money flow will be reduced and on the other, the Black water mercenaries will be on a temporary and intermediate mission that will naturally come to an end, just as the missions of US and NATO have failed. At that moment there will be very little incentive for the American invaders to enter the Afghan war because they would have exhausted all their options, and that conclusion is casting fear into the hearts of puppet officials. 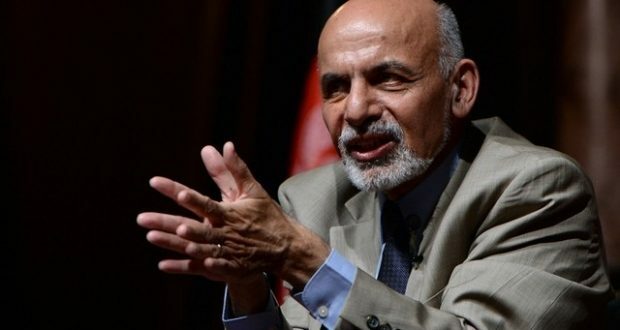 It is due to the above points that Ghani, the head of two headed regime, is opposing the idea of privatization of war and not because of their possible brutalities against Afghan people. If he really feels sympathy for Afghan nation then why does he not at the very least summon any courage to condemn the current Afghan massacres, bombardments, night raids and brutal indiscriminate operations?